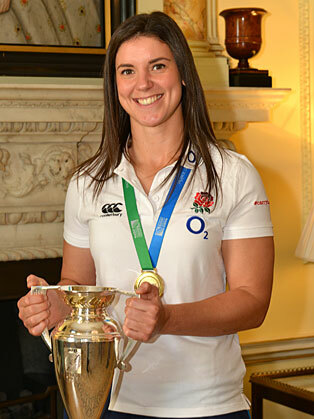 The 30-year-old England Captain has amassed an impressive 73 caps playing for her country, and has had the honour of leading the team on a number of occasions, including during England’s triumphant Rugby World Cup campaign in 2014. This season she has also been named as England Captain and has led the reigning world champions during the autumn international series, as will continue to do so during the RBS 6 Nations in 2016. Sarah began playing rugby league as a nine year-old but switched to Union in her teens. She is now the face of the Rugby Football Union’s All Schools Programme, and alongside the likes of Patron HRH Prince Harry, encourages children from state schools to give rugby a try. Sarah is an excellent speaker and is well versed in delivering to a vast array of audiences, on subjects as diverse as leadership, understanding pressure, the psychology of winning, working in a male dominated environment and challenging perceptions.